Up for sale is a Superfly Monkey Combo Set! -Includes Atomic (Glow In the Dark) Andy, Parachute Pete and Classic Supefly Steve! 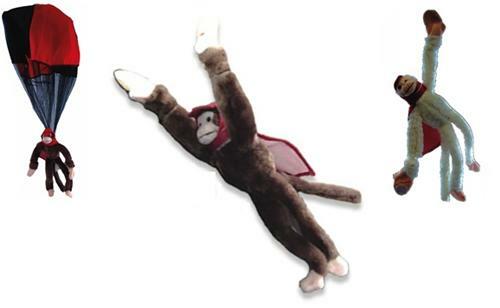 -Each Has Real Slingshot Action and Makes Monkey Sounds When Crashed!